JYJ’s Xia Junsu was only recently discharged from his military service on Monday, but his fans still recall awesome moments when the singer showed he was in perfect sync with them more than two years ago. Here are three moments picked from the program “Private life of Xia,” an iMBC program that first aired on July 13, 2016. 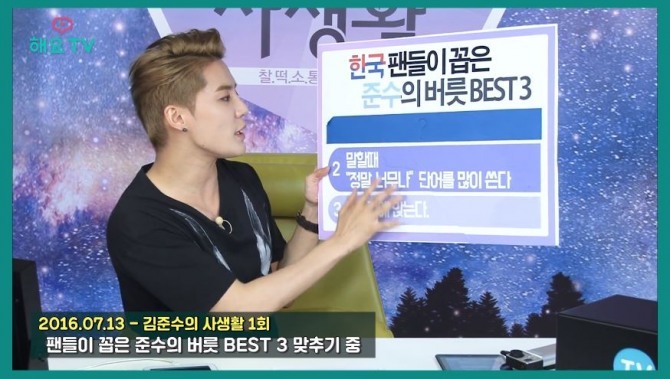 In the first episode of “Private Life of Xia,” Xia had to guess what fans chose as his most frequent habit. This time, fans had to guess what the singer had made with clay in three minutes. The answer was shouted out as soon as Xia picked up the clay, surprising both the singer and staff. 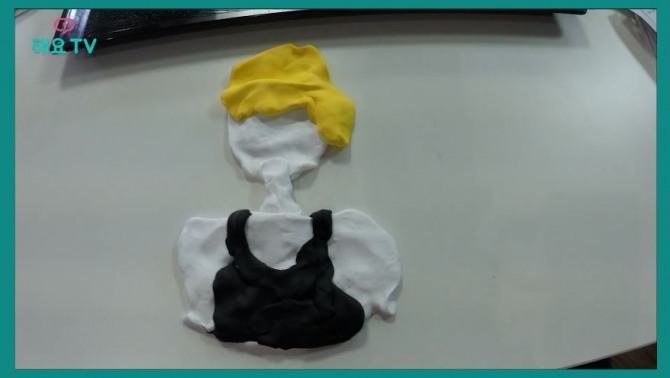 The second mission was also completed in just a few seconds as fans answered “Junsu” just by looking at a yellow, black and white figure that didn’t really resemble the artist. 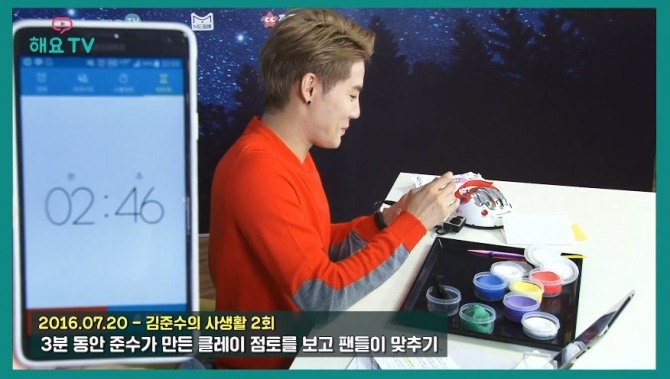 In the episode that aired on July 27, 2016, Junsu received a mission to play a game with fans: Fans had to guess what the singer was trying to say. Miming some movements, the singer tried his best to express a proverb but he was under the impression that fans would not be able to get the answer. “Thank you for having such great eyes, getting what I’m trying to say although I expressed it poorly,” said the artist when fans got the right answer.